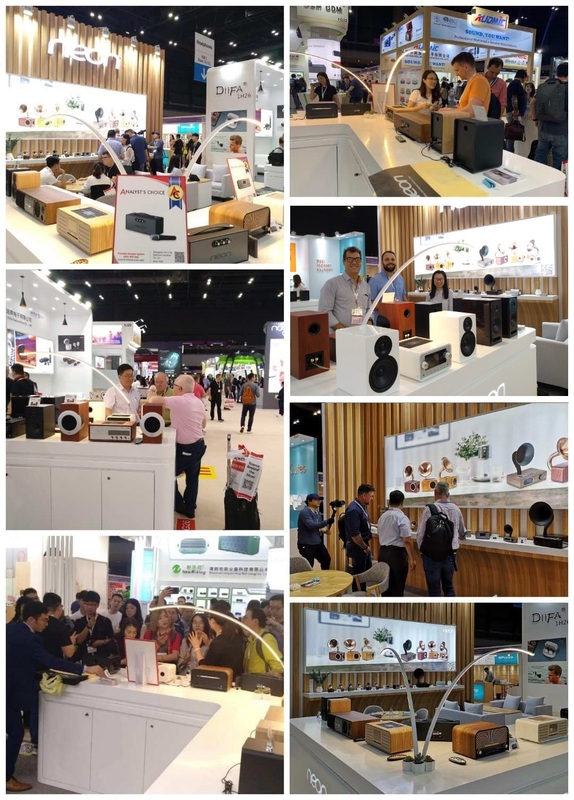 In the first day of the Global Sources Consumer Electronics Fair, Neon's two products, BTS280K and MTB830 acheived the Analyst's Choice certification from Global Sources Consumer Electronics Fair. There were many medias and visitors interested in NEON's high quality products. Many visitors are interested in MS125, MS135. They were surprised by its natural sound and vintage design.